So, uh, I accidentally nudged a thing into place on Tumblr last night. 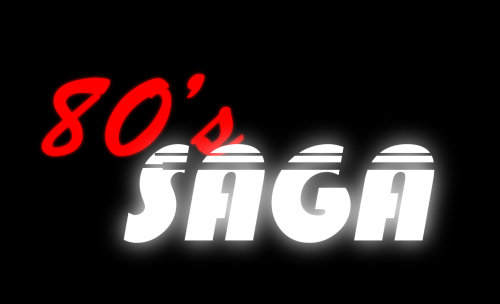 Basically 80'ssaga is an open source AU set in the 1980's where everyone 80-ses up all the characters. For instance, Ormus is a biker gang, and Biker Margulis is a thing. Pellegri is his daughter with a wardrobe heavily influenced by Bladerunner, Cherenkov is a put-upon software developer and his wife just dumped him for a new pair of legwarmers. Other folks have kinda piled on to the swag and are making beautiful things happen! I wanted to see if any of yall had ideas because hee, fun Xeno-related AU worldbuilding! HECK YES 80s-SAGA I LOVE THIS AU. Discussion topic: how about the soundtrack? Is the Song of Nephilim just that one Rick Astley song played over and over unto madness? Or some forgotten disco tune from the '70s that gives everyone an inexplicable case of DANCE FEVER?? @stitchedmoon wrote: Is the Song of Nephilim just that one Rick Astley song played over and over unto madness? Maybe Yasunori Mitsuda was way ahead of you. Not Xenosaga, true, but... dear lord. Should chaos walk around like Cowboy Bebop's Jet did in that one episode - in a cannabis print shirt, peace signs and everything? Incidetially, when I thought about how the party would go about blending in into a general city population some time ago, 'imitating a slightly-not-here junkie huddling into their clothes' was a pretty strong contender for KOS-MOS - to better cover up pecularities in body structure, movement, behaviour and speech. The mental image also included such things as a ribbed sweater colored like a rainbow, an oversized flower necklace that screams 'Hawaii', eye-searing hot pink shades covering up half of the face, a full-sized skirt with a cut somewhere in-between of a kilt and a sarong, etc, etc. Tony, with his memetic reputation of screwing around, makes a very strong case of being a sailor despite his canon occupation as a space trucker. Matthews, on the other hand, should totally be a trucker himself.